Sitting and standing for prolonged periods of time in the workplace has become a well-debated subject. Without regular change of posture, both can create health problems. 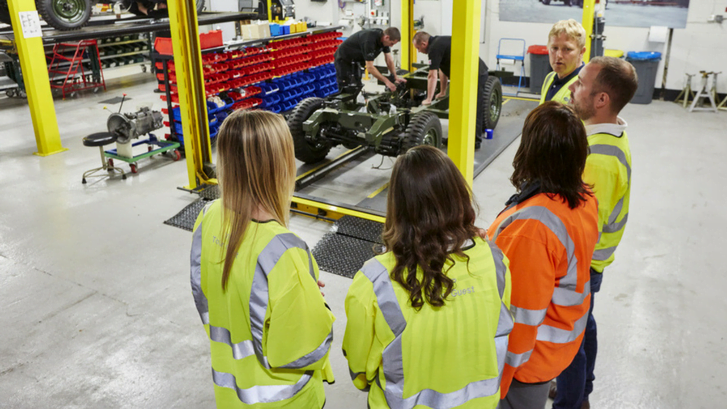 In this excerpt from COBA Europe’s #StandUpForHealth campaign, we look at the scale of the problem of work-related MSDs, the health issues commonly associated with them and the causes of musculoskeletal disorders. MSD stands for Musculoskeletal Disorders. Musculoskeletal disorders are injuries or conditions affecting the movement of the human body or the locomotor apparatus. They are problems that affect the muscles, tendons, ligaments, vascular systems, nerves, soft tissues, bones, and joints. A majority of body areas are affected by MSDs. The symptoms of work related MSDs include, but are not limited to, pain, inflammation, tenderness, pins and needles/numbness, muscle spasms and/or weakness, and reduced or lack of grip. Symptoms can creep on gradually and progressively get worse, causing movement to become increasingly restrictive. How can work related MSDs affect a workplace? MSDs can (and do) have a negative effect on the workplace. There have been over 176,000 new cases of work related MSDs in 2015/16. This compares with 184,000 in 2013/14. The rate is described ‘as broadly flat’ for the last five years. Work-related MSDs also accounted for 41% of all work-related illness and 34% of all days lost due to work-related health in Great Britain in 2015/16. It is estimated that some 8.8 million working days were lost due to work-related MSDs, an average of 16 days lost for each case. Upper limb disorders accounted for around 36% of days lost, with back disorders around 39% of days lost and lower limb disorders 26%. Those aged between 45-54 and 55+ represented the highest rates, with a similar overall figure for both males and females. However, according to the Chartered Society of Physiotherapists, there are over 200 types of MSDs affecting 1 in 4 adults. Skilled trade occupations and process/machines operatives had statistically high rates of work-related MSDs. Industries requiring physically active work including agriculture, construction, forestry and fishing, transportation, healthcare and social work demonstrate the highest rates of MSDs. Despite the number of cases, many Musculoskeletal Disorders are, however, preventable. Treatment depends on how advanced MSDs have become and early intervention is essential. For further information, download our free eBook, which goes into further detail about Musculoskeletal Disorders and provides a full list of symptoms. 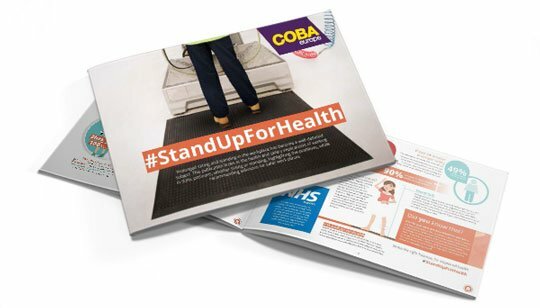 Our previous posts, supporting COBA Europe’s #StandUpForHealth campaign can be found here.